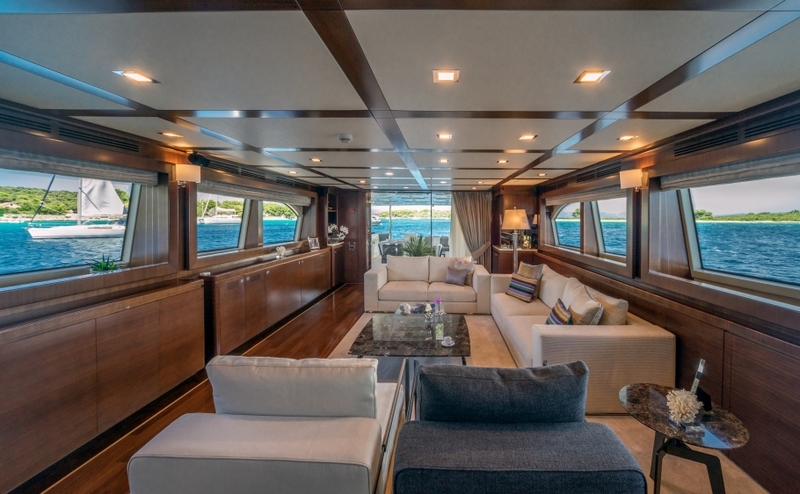 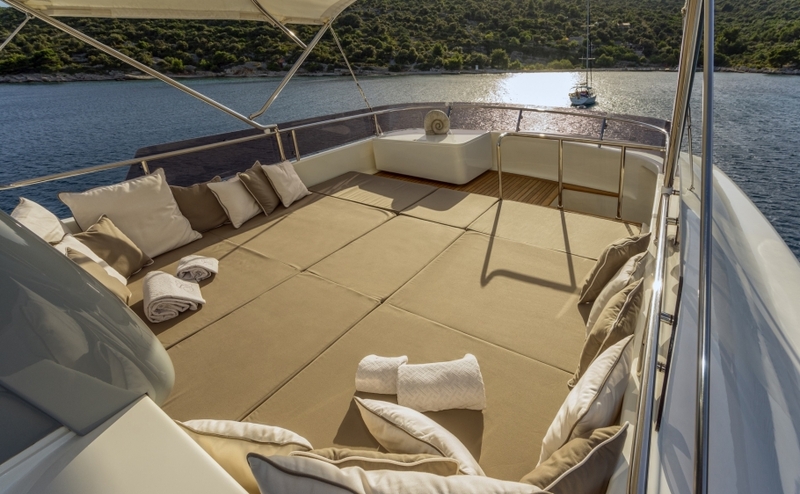 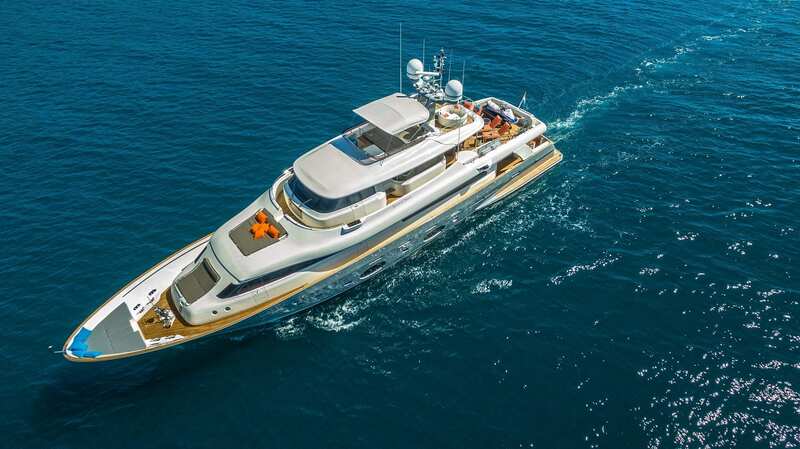 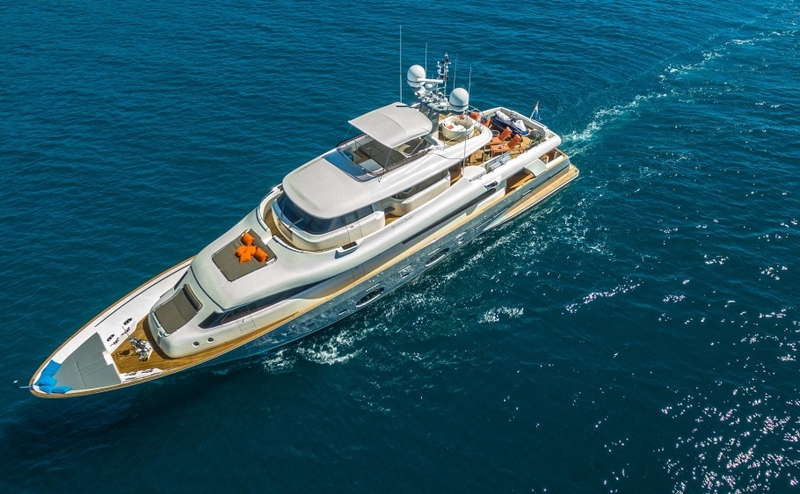 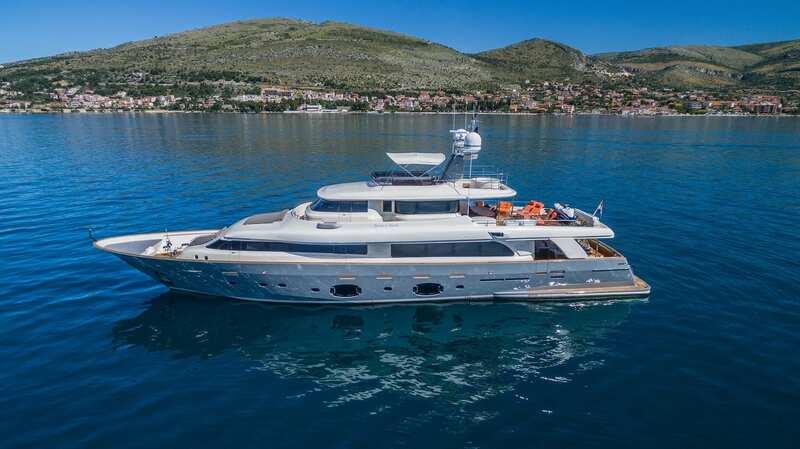 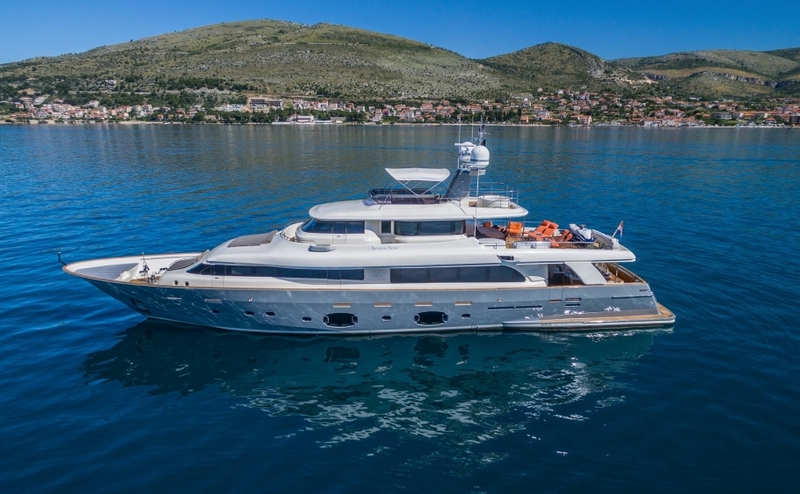 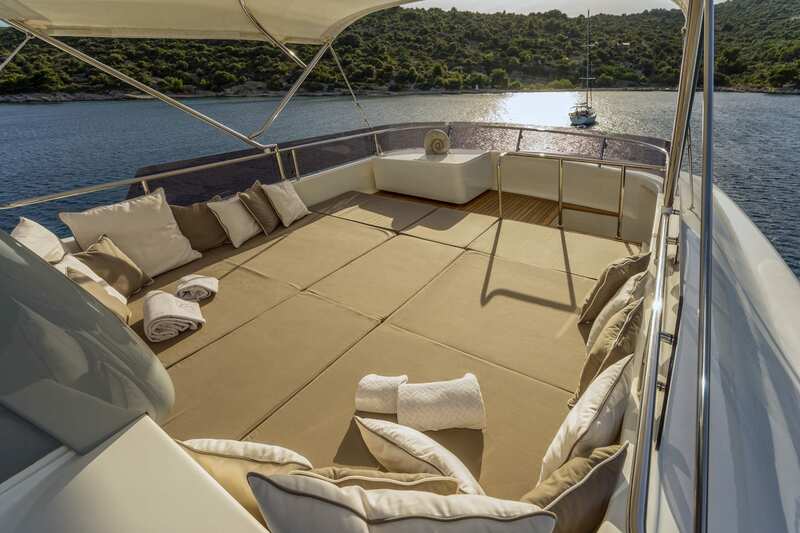 The motor yacht SEVENTH SENSE is a 32.60 metre 106′ 11″ Custom Line Navetta 33 Superyacht (Ferretti Group) available for luxury yacht charter in Croatia, Montenegro and the Adriatic. 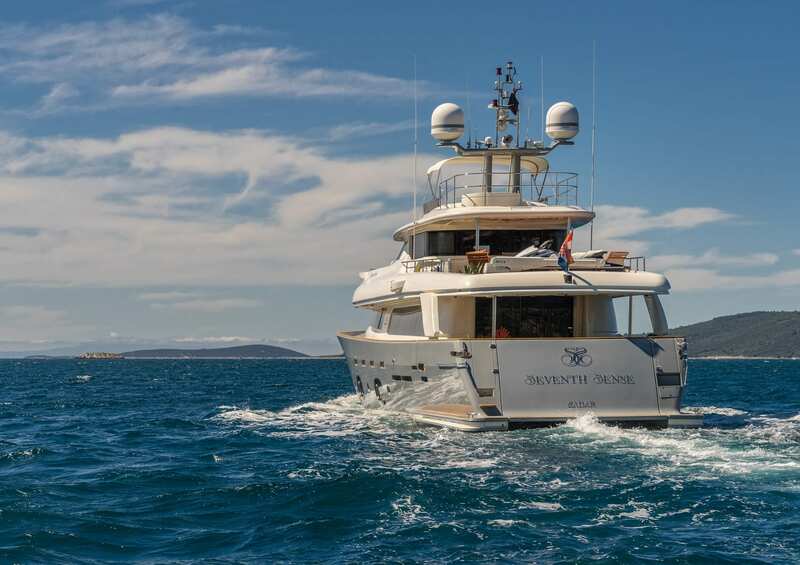 SEVENTH SENSE was build by Studio Zuccon International Project & Ferretti Group Engineering Division in 2008 and underwent a refit in 2016 under her second ownership. 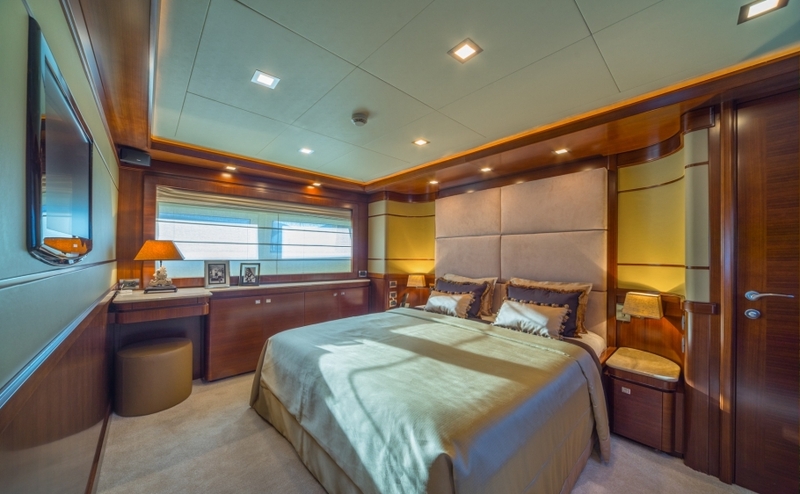 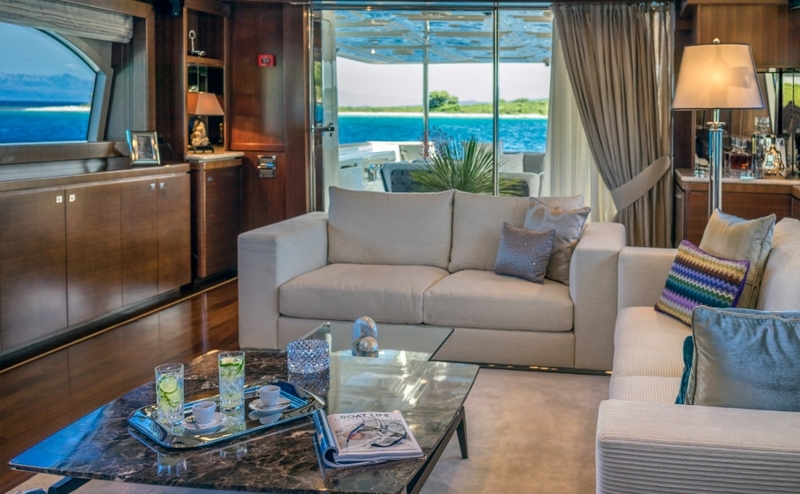 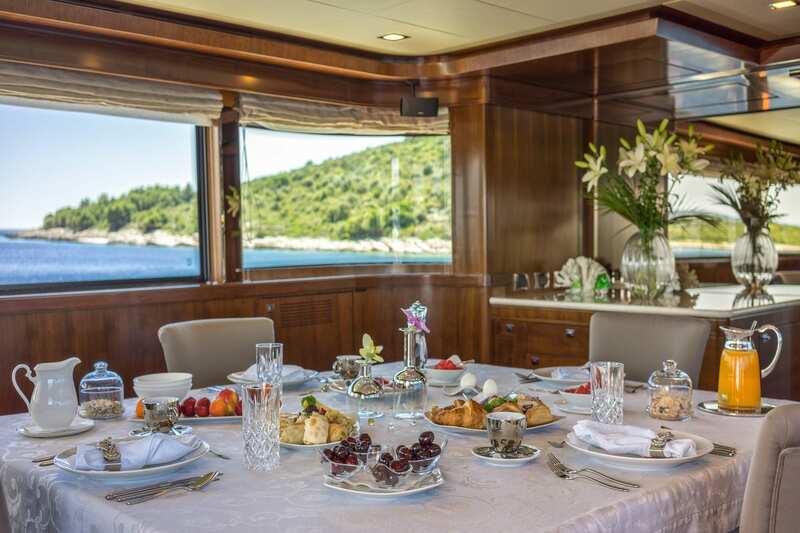 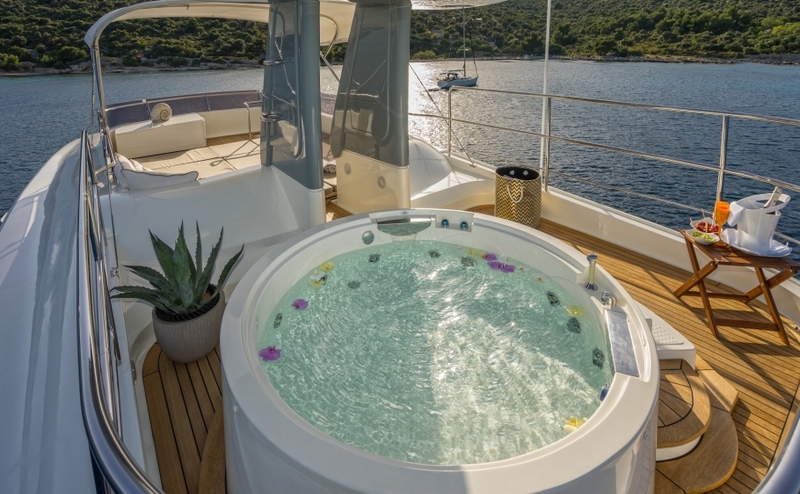 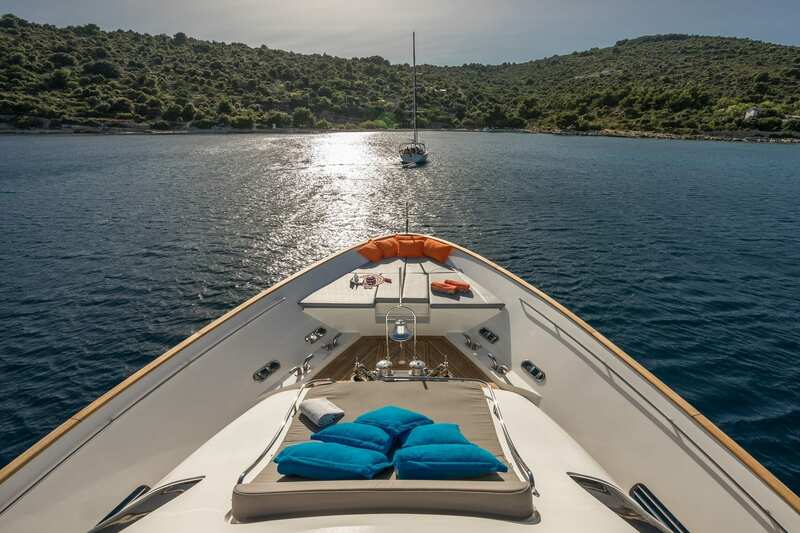 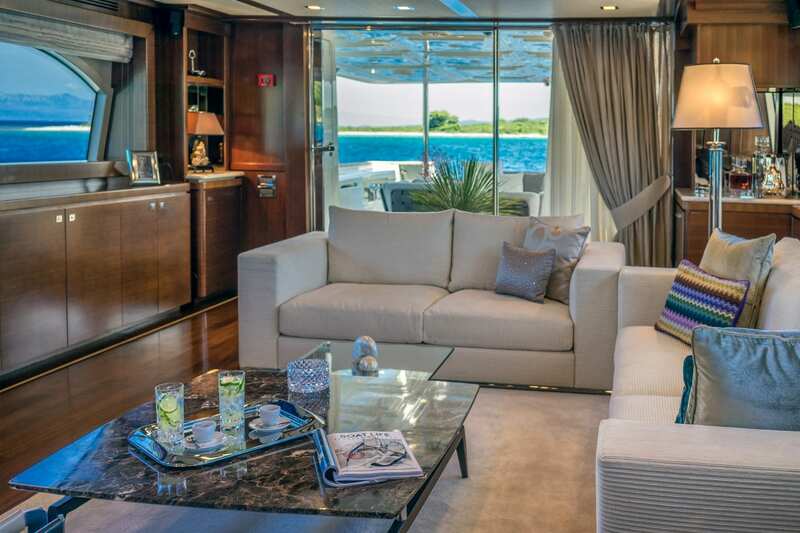 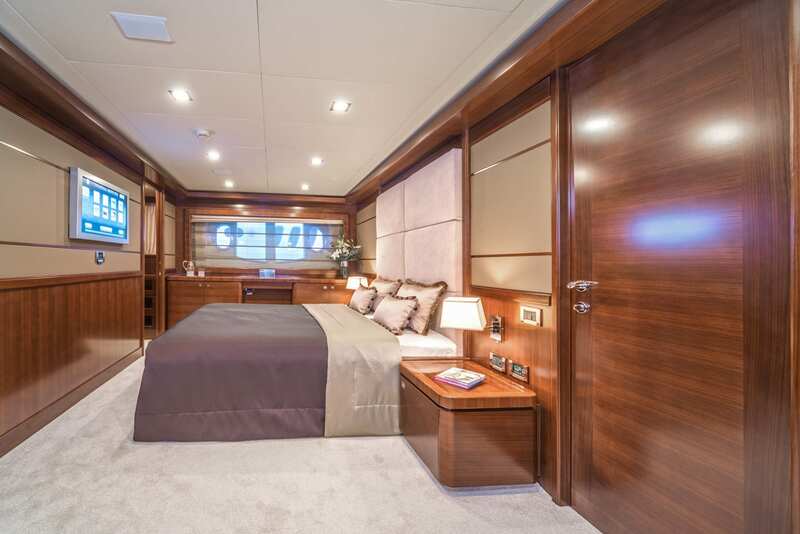 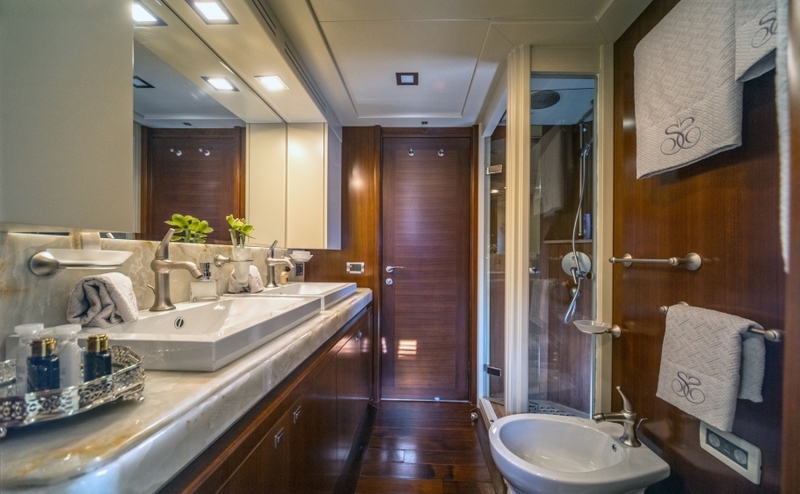 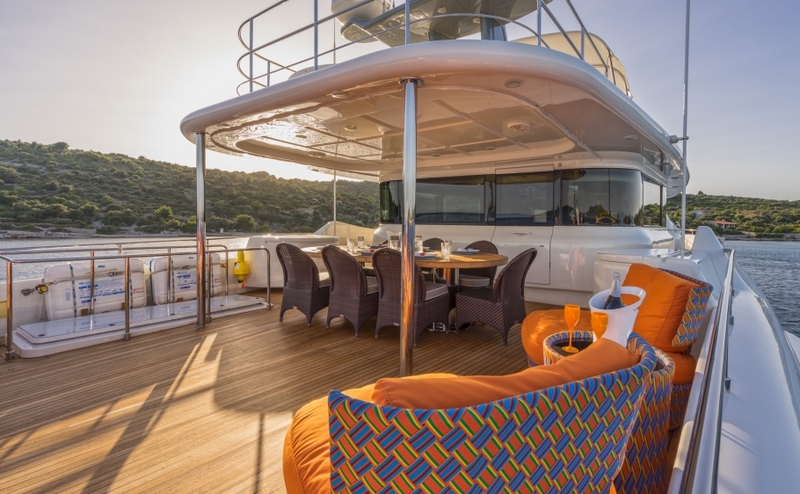 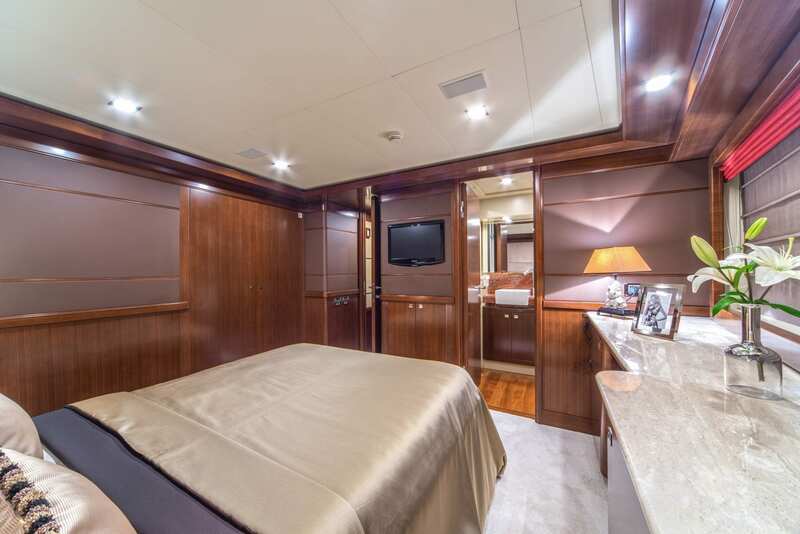 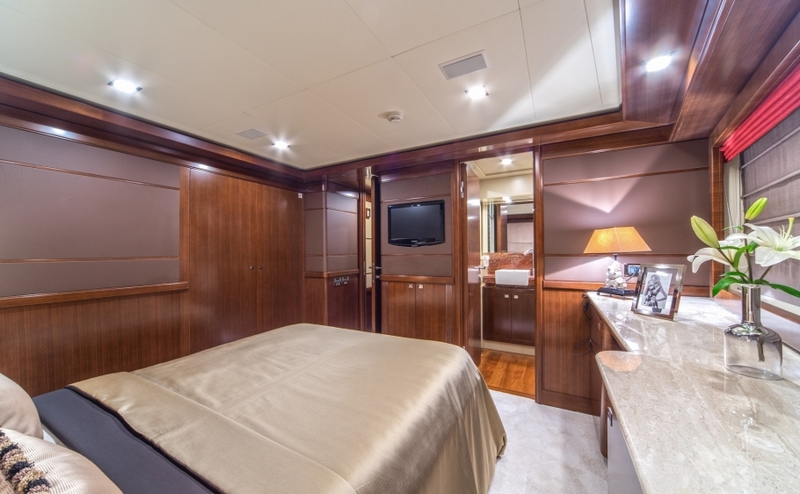 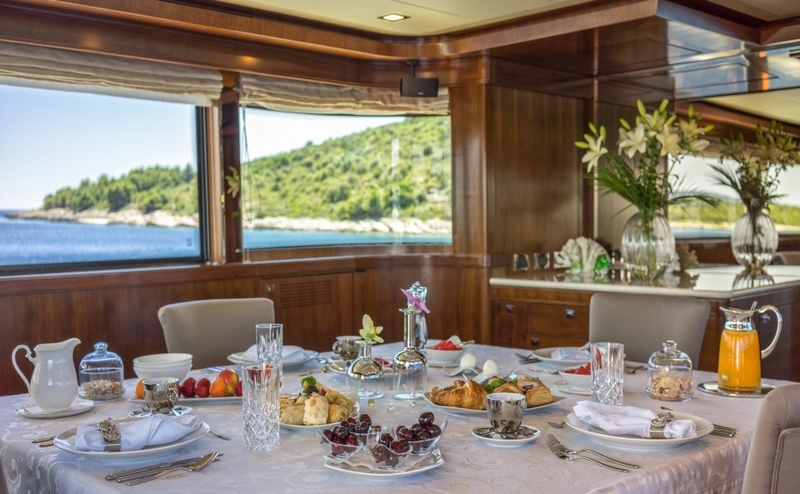 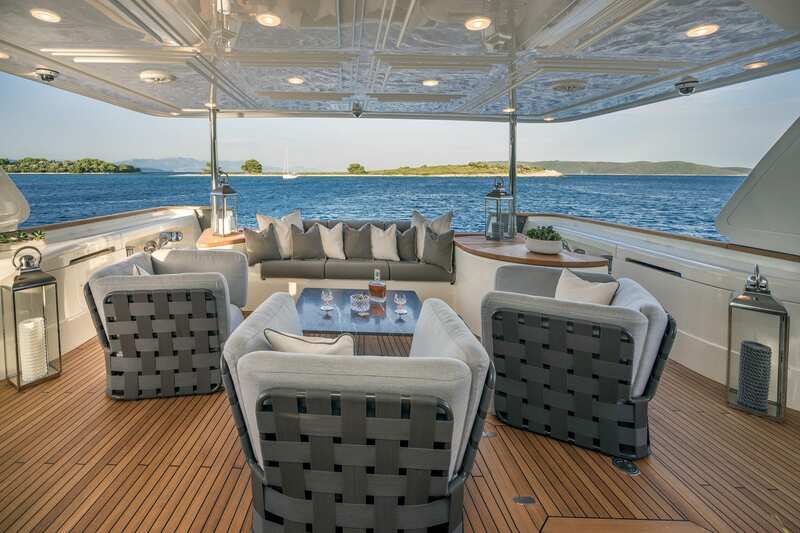 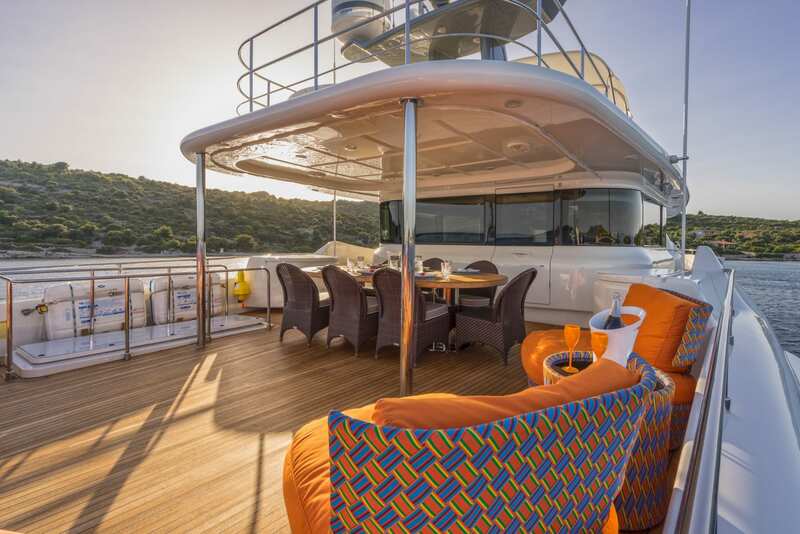 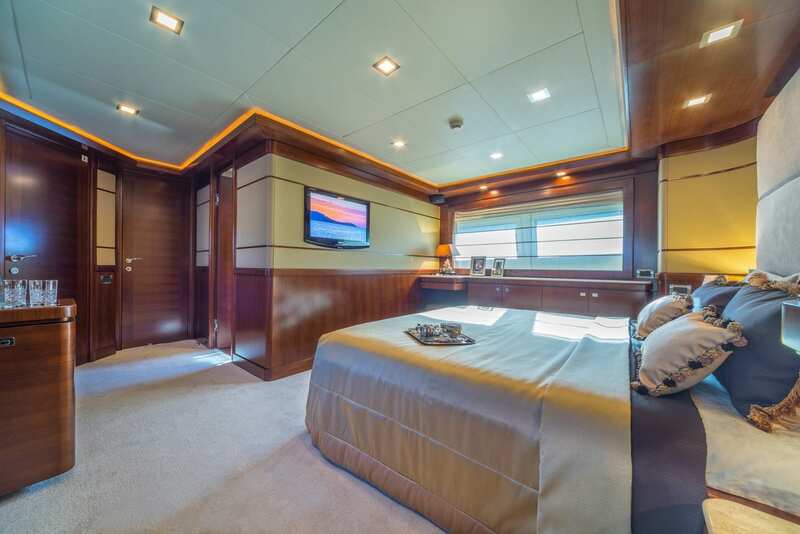 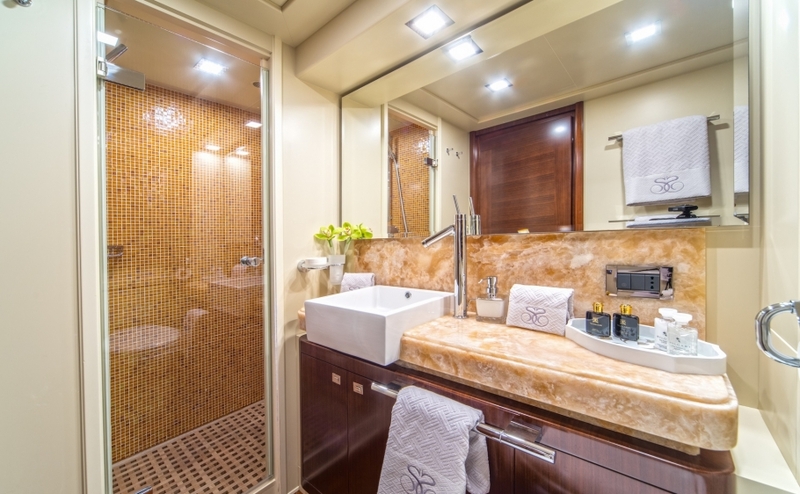 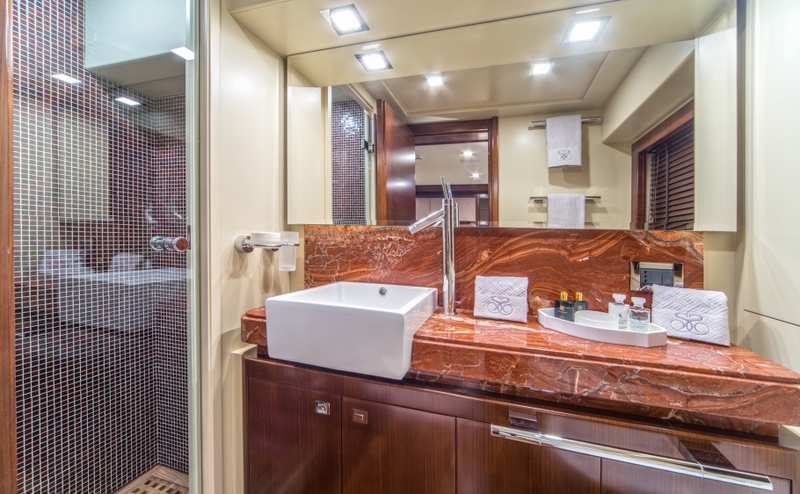 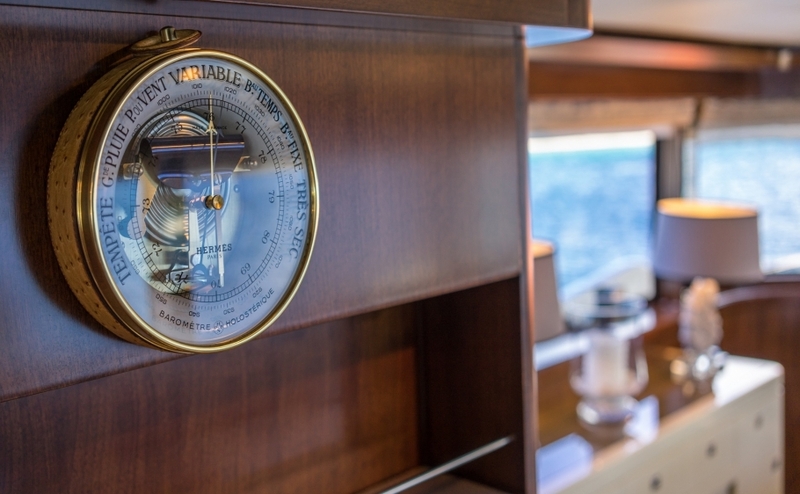 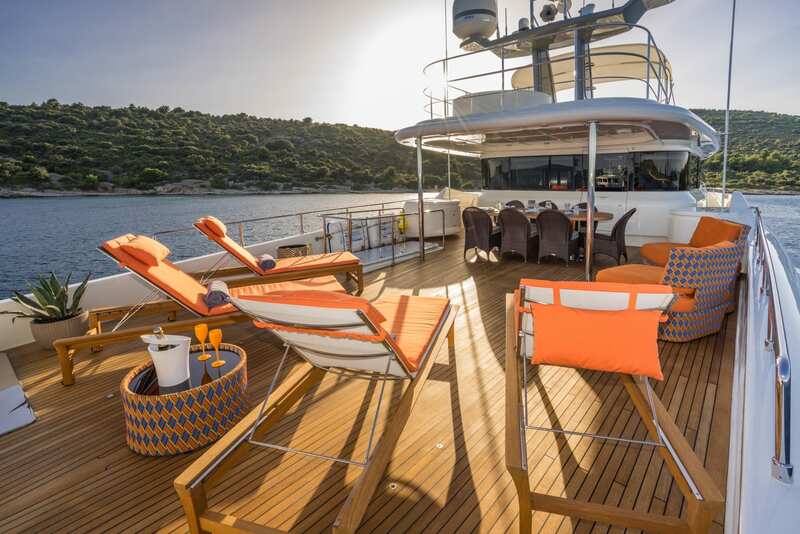 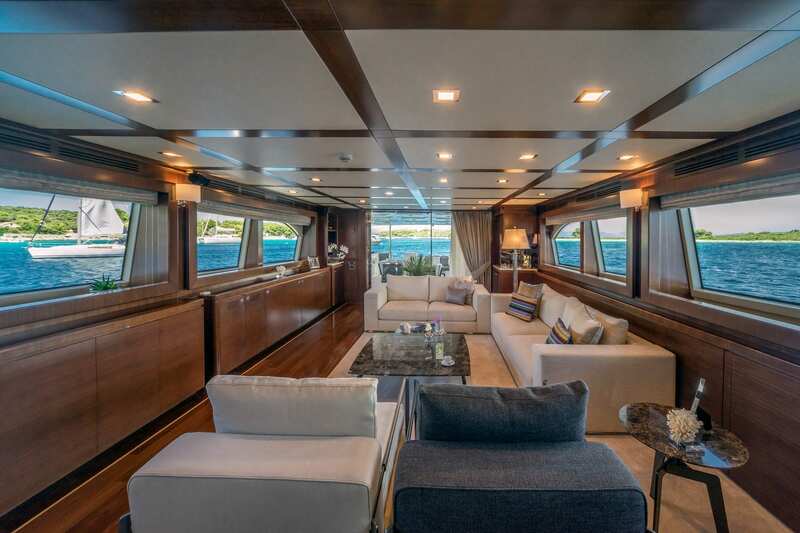 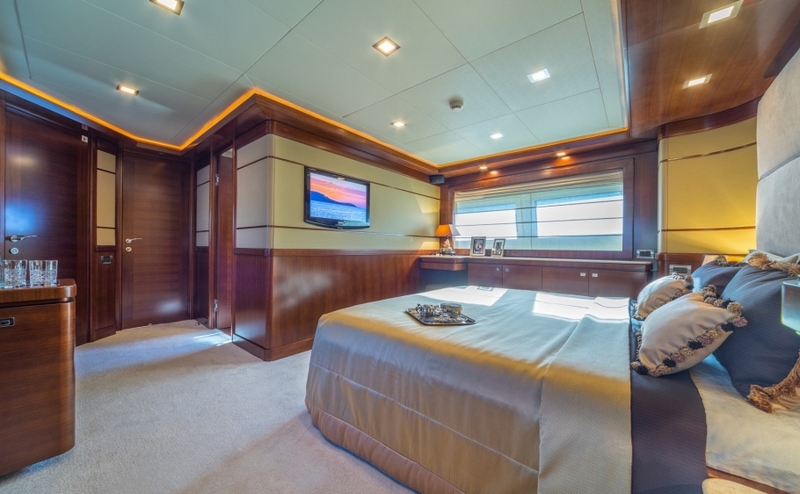 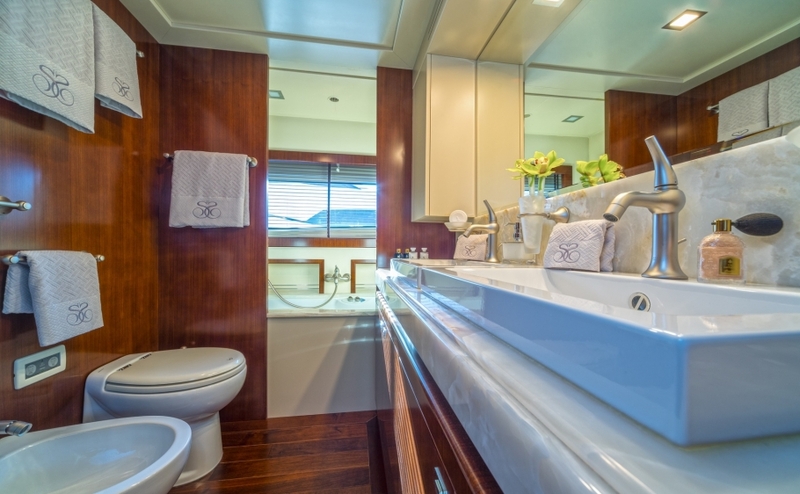 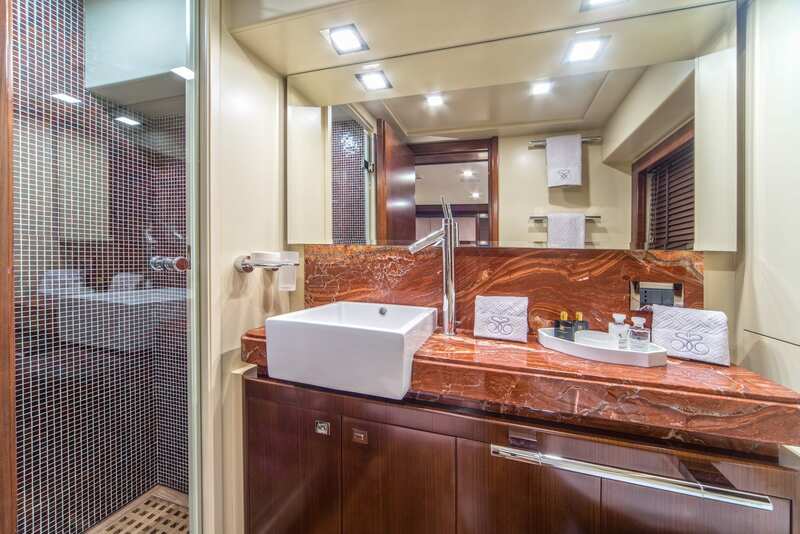 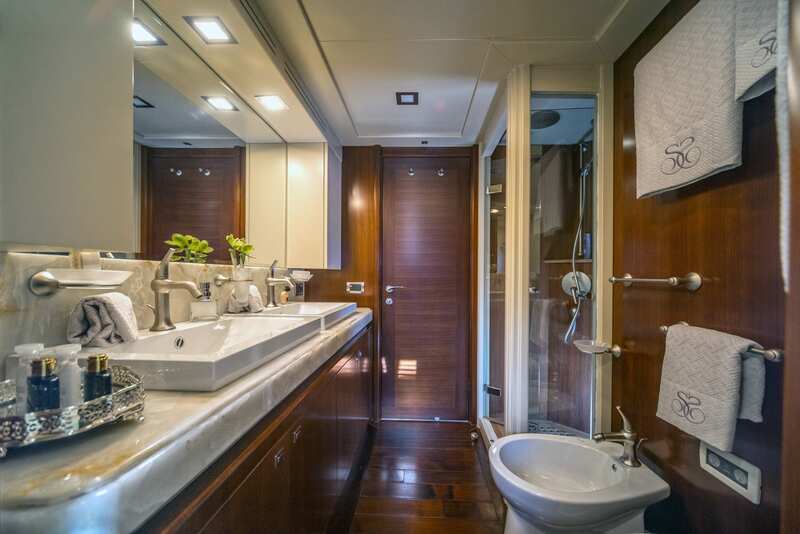 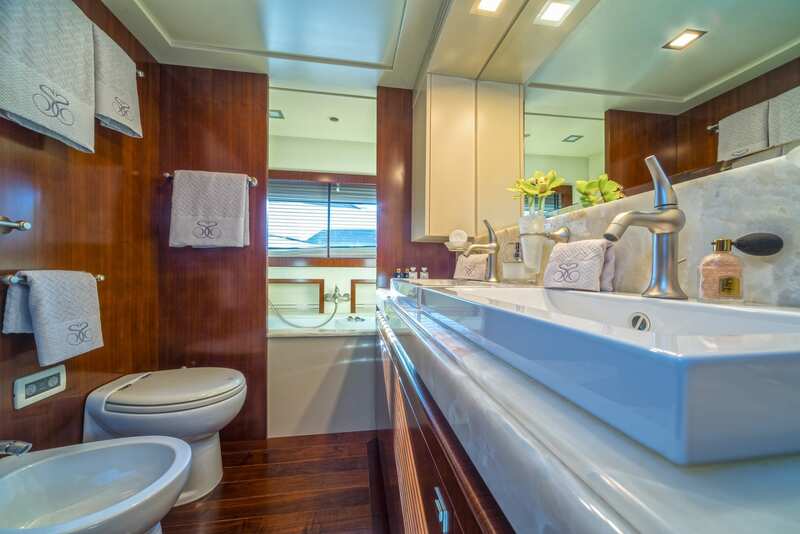 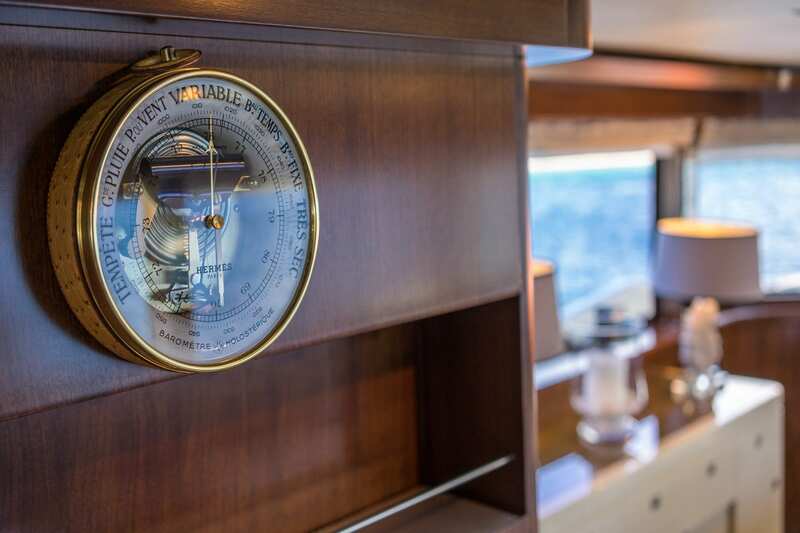 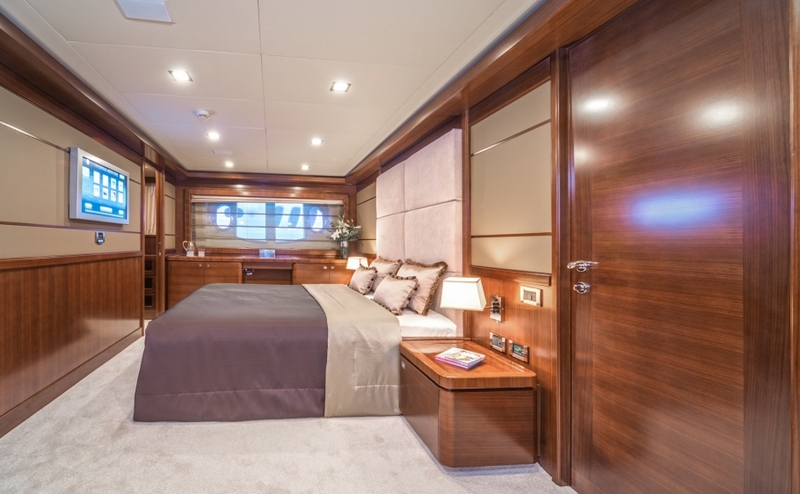 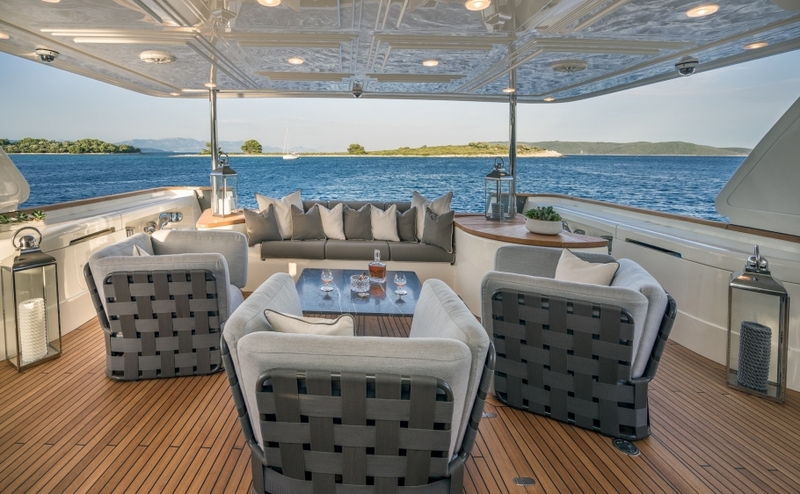 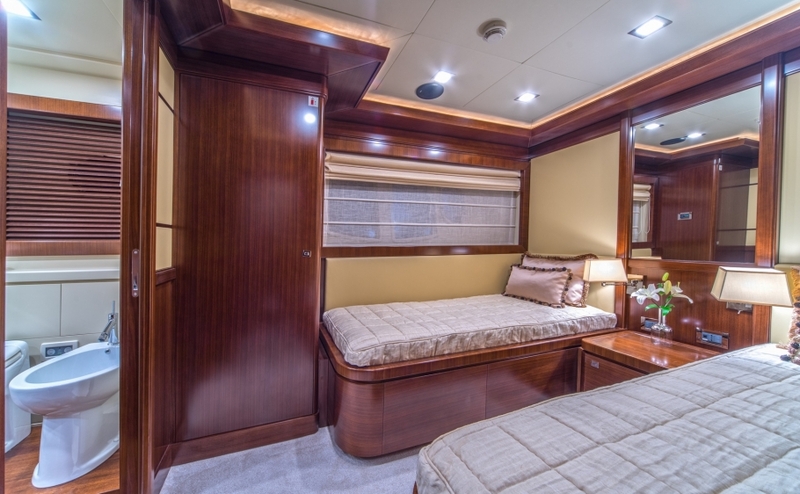 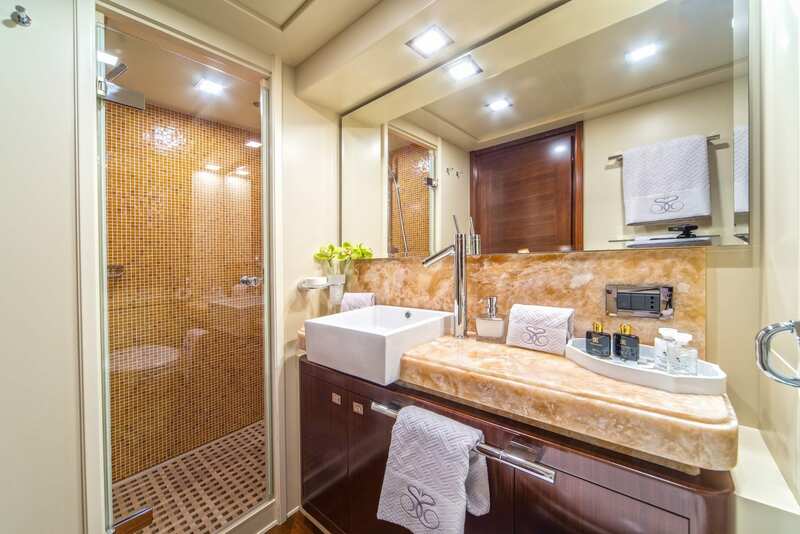 Modern and stylish, her beautiful furnishings and sumptuous arrangements makes her the perfect candidate for Ultra luxury cruises in the Adriatic sea and East Mediterranean in Summer. 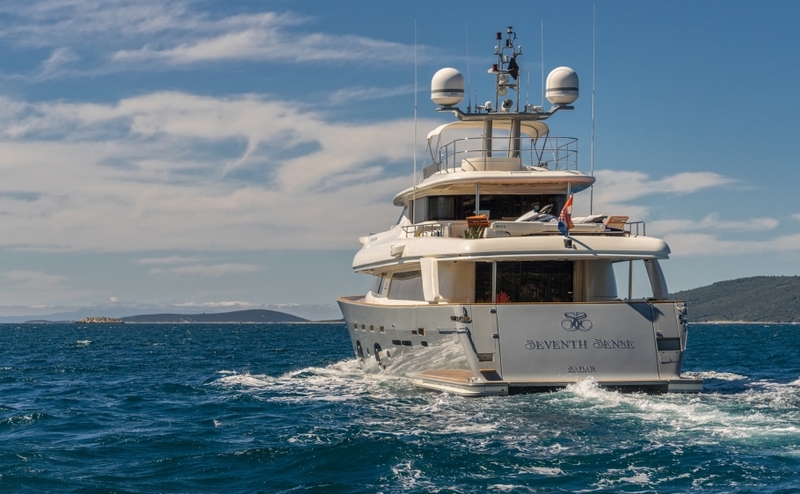 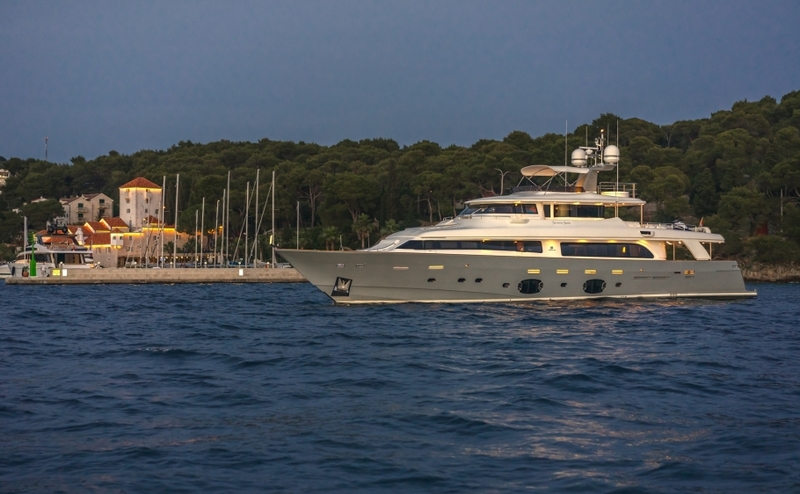 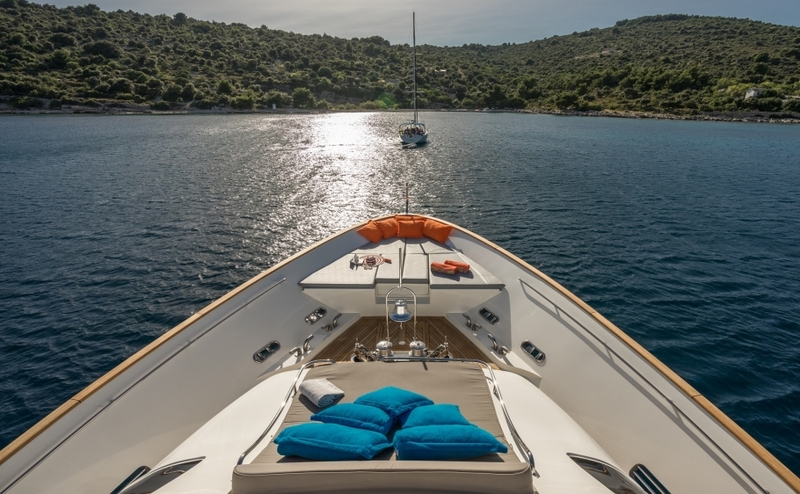 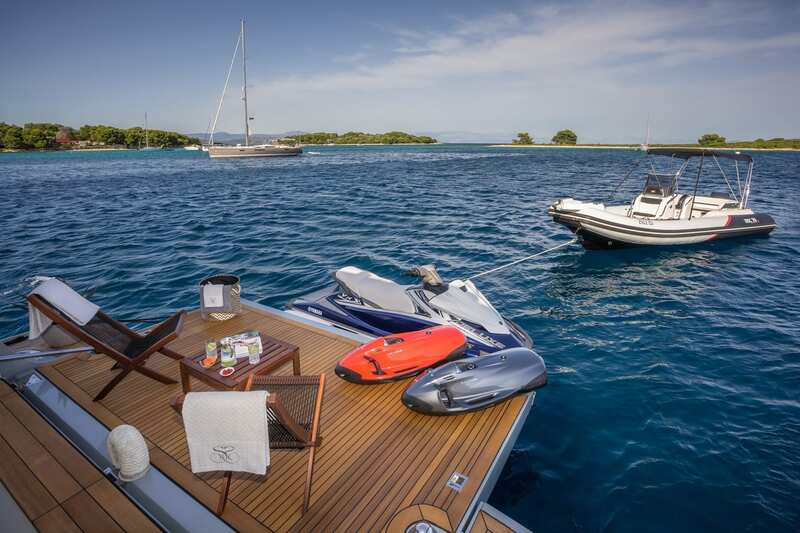 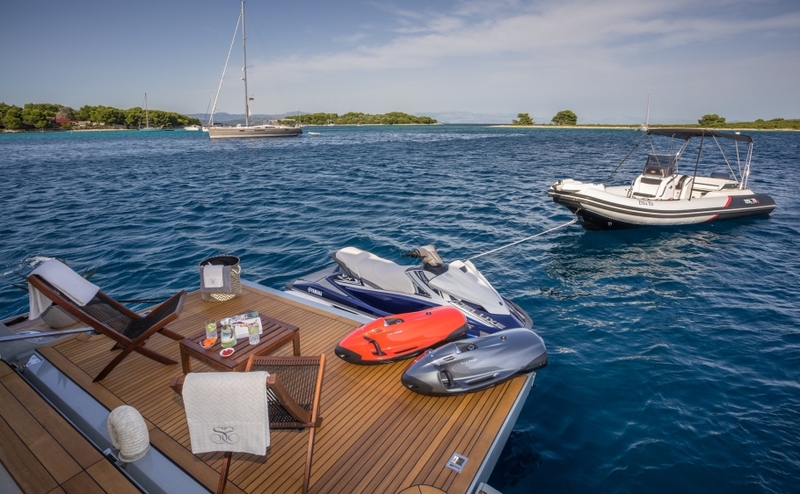 Motor yacht SEVENTH SENSE is a popular sight in Croatia, Montenegro, Porto Montenegro, Split, Dubrovnik, Hvar, Mljet, Monaco, Cannes, Saint Tropez, Portofino, Capri and Porto Cervo. 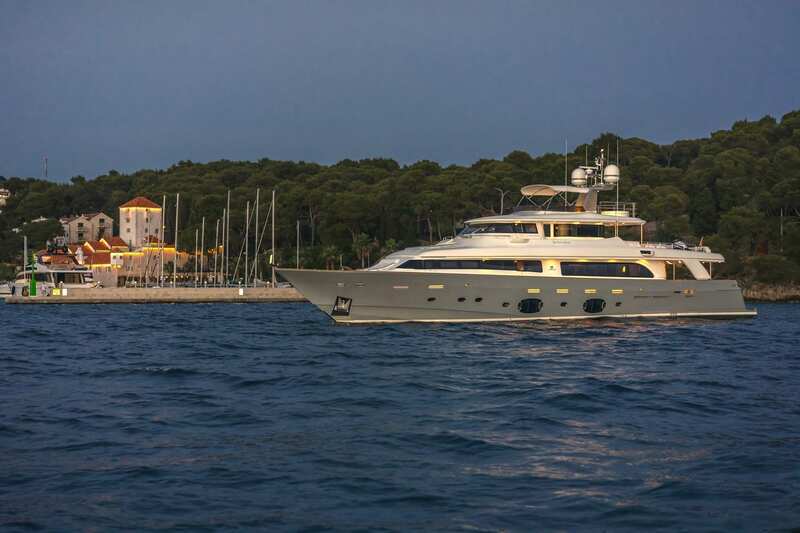 She was also spotted in Antibes, Villefranche, Calvi, Bonifacio, Capri, Ponza and Cala Di Volpe. 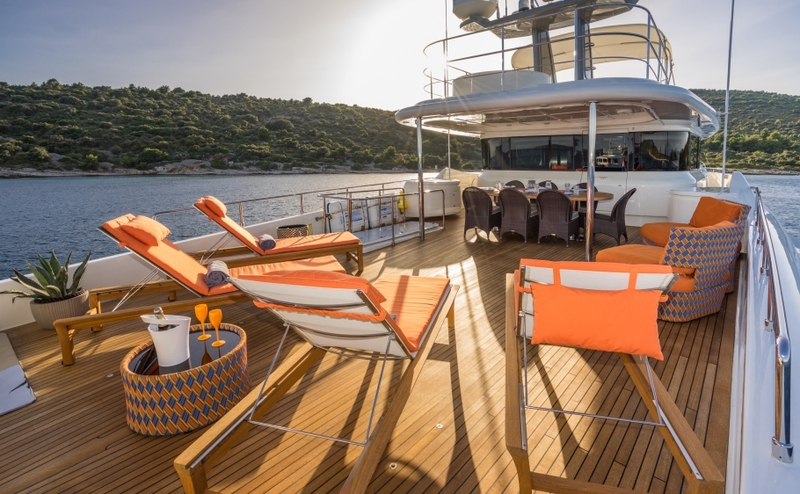 LADY TRUDY features impressive leisure and entertainment facilities and makes her the perfect charter Superyacht for socialising, entertaining with family and friends or for a great party.